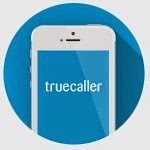 The TrueCaller application helps you to know the identity of unknown numbers calling you. However, no sooner you install it, it gets numbers from your contacts and stores it in its database. This might cause a privacy issue as even if you don't use True-caller your number gets stored in its database if your friend or someone who has a number uses it.